Eurocucina 2012 in the “Fuori Salone” evening events at the Milan trade fair. Pop Heart, Stone, Wild Flower. 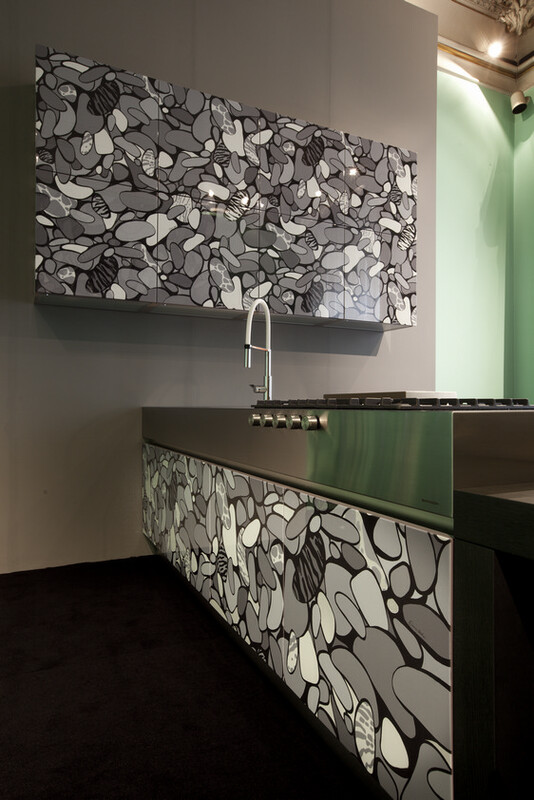 Fabulous Enrico Coveri’s textures found an ideal setting in Aster kitchens. In a stylish liaison designed to bring together the two seemingly different yet ultimately similar worlds of kitchen interiors and high fashion. 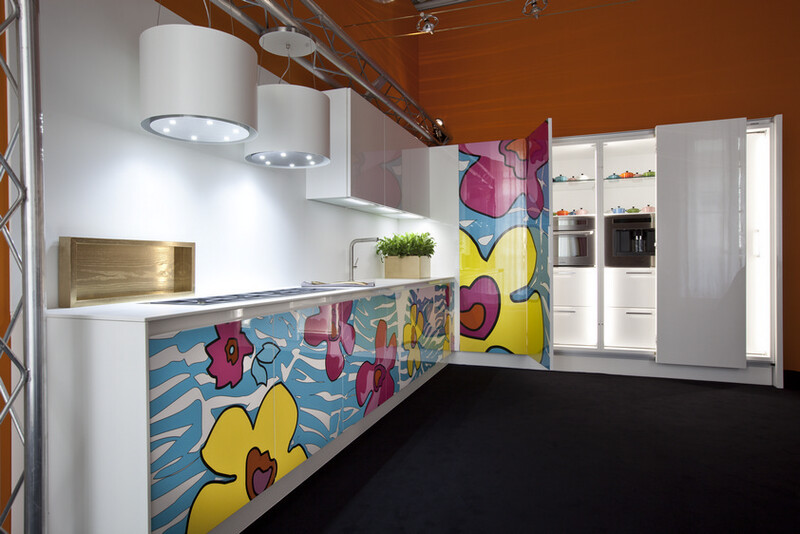 Creating a new type of living space in this way, one where both technical features and decorative ones are combined as if to dress up in the most sophisticated clothing a room at the very heart of the home: the kitchen. Lo spirito della Maison magicamente espresso nel progetto Enrico Coveri Living e magistralmente realizzato da Aster Cucine, ha incontrato l‘entusiasmo del pubblico e della stampa, che hanno potuto ammirare le composizioni Enrico Coveri Living ambientate nell‘atelier milanese di Enrico Coveri. This was a key meeting. 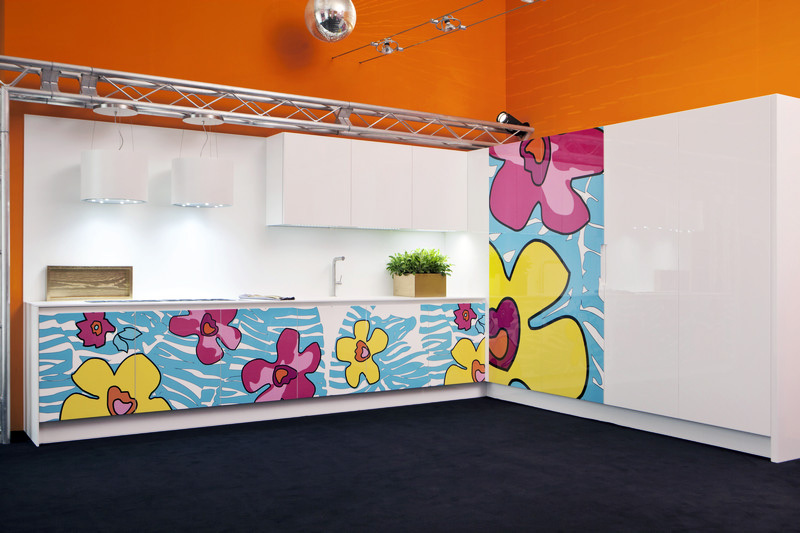 Bringing together the elusive beauty of the fashion world with the pragmatic functionality of kitchen design. Capturing the essence of volatile beauty whilst melding it with the hands on solidity of every day actions. Giving a solid physical feel to strong emotions while leaving a strong line, a sign. Like a form of osmosis able to dress the rooms of the house so they can be lived in and loved for many years to come. Un succès et une rencontre. Enrico Coveri signifie art, peinture, sculpture, design, thèâtre et danse. Aster Cucine signifie responsabilitè, conscience, innovation, èthique. Une rencontre pas accidentel, parce que forme et contenu coïncident.